This article is shared with permission from our friends at draxe.com. Tulsi, another name for holy basil, has a rich history dating back to ancient eastern uses 3,000 years ago. Mentioned in the Rig Veda around 1500 B.C., the sacredness of holy basil was celebrated in the Purana and is highly regarded in Ayurvedic medicine. It’s suspected that tulsi is native to tropical Asia, although it now grows in many tropical climates across the globe. Historically used in these areas as medicine because of its widespread healing power, holy basil leaves are now regarded by most countries as adaptogen herbs (anti-stress agents) and have been used widely to promote health throughout the entire body. Naturopath Marcelle Pick of Women to Women reports that adaptogenic herbs can recharge your adrenal glands, helping you to respond to stress. (2) Adaptogens include ashwaganda, astragalus, ginseng, licorice root, holy basil, some mushrooms and rhodiola. Now let’s jump into the research to see how effective holy basil really is. Widely used for skin care, a team of researchers from Thailand conducted a study to determine the efficacy of holy basil essential oils against bacteria that cause acne. Essentially testing its antimicrobial capability, they discovered that a 3 percent concentration of holy basil oil is most effective against bacteria that cause acne. Interestingly, it was also noted that the primary compound of holy basil oil is eugenol, the active ingredient in the powerful antimicrobial clove oil. One of clove oil’s uses and benefits is it’s widely believed to cure many skin disorders. When implementing tulsi for natural acne treatment, consider using unrefined virgin coconut oil as a carrier because when melted, it’s more viscous and absorbs into the skin better than other oils. Holy basil possesses significant anti-inflammatory and immune-boosting properties that protect against fever, pain, stress and protect vital organs like the liver. Consequently, people who regularly consume tulsi are less likely to be immune-compromised and are less susceptible to developing cancer cells. The phytochemicals in tulsi prevent chemical-induced skin, liver, oral and lung cancers because they increase antioxidant activity, alter healthy gene expressions, induce cancer cell death, prevent blood vessel growth contributing to cell growth and stop metastasis. The extracts of tulsi protects against radiation-induced sickness and mortality and selectively protect the normal tissues against the destructive effects of radiation. Additionally, it prevents radiation-induced DNA damage, which highlights holy basil’s widespread ability to promote healing. It’s actually remarkable to consider that one plant has been proven to not only kill cancer, but it prevents it and even protects the body from dangerous cancer treatments — making it a natural cancer treatment. Since the mid-1990s, tulsi’s ability to control blood glucose and operate as a natural diabetes remedy has been widely known. 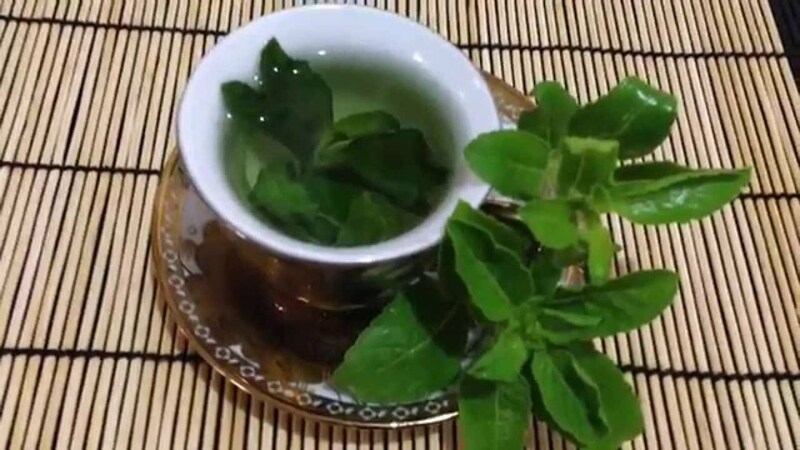 For instance, to test its ability to manage and reverse diabetes, researchers from Azad University of Agriculture and Technology (India) evaluated the effects holy basil leaves had on rats. Compared to a control group, the group administered holy basil experienced some amazing results. Not only did fasting glucose fall by 21 mm/dl, post-meal glucose fell by 15.8 mm/dl, which represented reductions of 17.6 percent and 7.3 percent, respectively. Fascinatingly, cholesterol levels were decreased during the treatment as well! Six years later, the Journal of Ethnopharmacology published a study proving that the extract of holy basil leaves was found to decrease glucose by more than 36 percent in normal rats and by 18 percent in diabetes-induced rats. These results continue to hold true during the test of time. Just two years ago, an article published in the Journal of Pharmacy & Bioallied Sciences confirmed the ability of tulsi to balance blood sugar. In addition to managing diabetes by controlling blood sugar levels, an article published in the journal Die Pharmazie (German for “The Pharmacy”) describes that the hypoglycemic effects of holy basil is possibly due to its ability to regulate serum cortisol levels. Oftentimes ignored, the “stress hormone,” as it’s commonly referred to, is responsible for an alarming number of diabetes mellitus cases throughout the world. Its far-reaching effects on the body can play havoc on learning, memory, lowered immune function, bone density, weight gain and heart disease. Elevated cortisol levels are so dangerous that Psychology Today refers to cortisol as “Public Enemy #1”! Another benefit from lower cortisol is supplementing with holy basil has been found to reduce anxiety and emotional stress. In using holy basil, I would recommend taking it in supplement form, or the way I personally consume it is by drinking one cup of tulsi tea a day. Manikandan P, et al. Ocimum sanctum Linn. (Holy Basil) ethanolic leaf extract protects against 7, 12-dimethylbenz(a)anthrace ne-induced genotoxicity, oxidative stress, and imbalance in xenobiotic-metabolizing enzymes. J Med Food 2007; 10(3):495-502. Vivoch J, et al. Evaluation of in vitro antimicrobial activity of Thai basil oils and their micro-emulsion formulas against Propionibacterium acnes. Int Journal of Cosmet Sci 2006; 28(2): 125-33. Vats V, et al. Evaluation of antihyperglycemic and hypoglycemic effect of Trigonella foenum graecum Linn, Ocimum sanctum Linn and Pterocarpus marsupium Linn in normal and alloxanized diabetic rats. J Ethanopharmacol 2002; 79:95–100. Rai V, et al. Effect of tulsi (Ocimum sanctum) leaf powder supplementation on blood sugar levels, serum lipids and tissue lipid in diabetic rats. Plant foods Hum Nutr 1997; 50:9–16. Chandra A, et al. Effect of Indian herbal hypoglycemic agents on antioxidant capacity and trace elements content in diabetic rats. J Med Food 2008; 11:506–12. Baliga MS, et al. Ocimum sanctum L (Holy Basil or Tulsi) and its phytochemicals in the prevention and treatment of cancer. Nutr Cancer 2013; 65 Suppl 1:26-35.